К-т за зацепване на двигатели за Volvo, Ford, Mazda 1.6L 2.0L T4 T5 S60 S80 V40 V60 V70 XC60 - ZT-04A2276 SMANN TOOLS. I. Crankshaft Pulley Alignment Tool: Volvo 999-7415. 2.0L Engine Code: B4204T6, B4204T7, B4204T7 (MZRDIDSI), MGDA, MZR 2.0 (LF), R9DA, TNBA, TNBB, TNWA, TNWA, TPBA, TPWA, ZQDA. 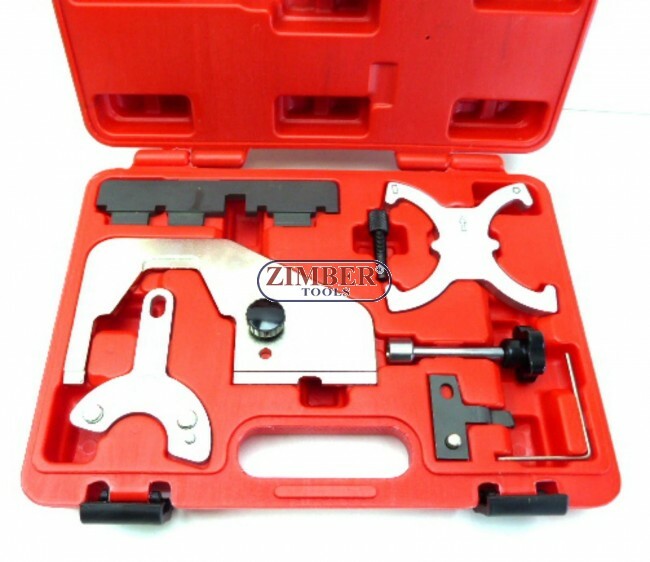 The comprehensive the setting and locking kit covers the engine, which has fitted to a large range of Ford, Volvo and some Mazda vehicle. 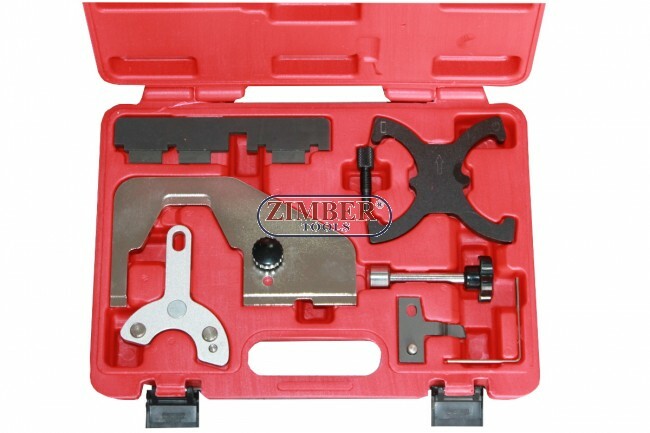 Contain the time saving tool correctly align the timing cover on Ford and Volvo engines and the crankshaft pulley holder for Mazda engine. К-т за зацепване на двигатели FORD/Mazda/CITROEN,PEUGEOT: 1.4 1.6 2.0 TDCI Diesel , ZT-04A2192D - SMANN TOOLS. К-т за зацепване на двигатели FORD/Mazda/CITROEN,PEUGEOT 1.4 1.6 2.0 TDCI Diesel , ZT-04A2192 - SMANN TOOLS.